Innovation at the Station, the bioscience sector’s annual networking event, is going into its third year, with each annual event attracting a bigger crowd and more hype than the last. The event has always emphasized locally-sourced food and drink through partnerships with Real Food Connections, Picaroons Traditional Ales, and LJW Catering. Innovation at the Station 2015 is no exception! BioNB has partnered with Buy New Brunswick to bring three local vendors on-site. Our favourite chef, Leanne Wiens, will also be serving up a tasty menu of local foods made from scratch, strategically paired with a selection of wines. If last year is anything to go by, you’ll be hard pressed to grab a beef slider once it leaves the kitchen. But what does all of this talk about food and drink have to do with science? That beer you drink, that wine you sip, that cider you swallow – it was brewed, fermented, and aged with careful calculations and attention to deliciousness. It’s an exact science to produce a beverage that tastes good and doesn’t spoil, a process that is nothing short of impressive. One of Innovation at the Station’s sponsors, the Biorefinery Technology Scale-Up Centre, knows the science all too well, and has equipment and expertise that the brewing industry is already using to perfect their product. There’s no shortage of food and beverage producers in New Brunswick who have perfected their craft and we’ve invited a few of them to join us at Innovation at the Station. 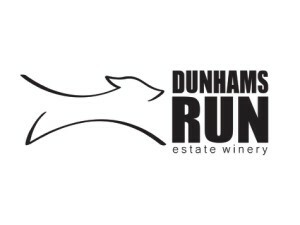 Get in touch with Red Rover Craft Cider to learn about their products before the event, and look forward to the wine and food pairings arranged by Chef Leanne Weins and Tony from Dunhams Run Estate Winery. You will also be able to find Briggs Maples on-site, a New Brunswick-based family business that taps 12,000 trees and creates maple syrup, sugar, cookies, and more. Feel free to contact the Innovation at the Station vendors ahead of time to ask about their products. Did you know farmers and fisheries are also part of the bioscience space? Food production is becoming more and more sustainable with the knowledge and techniques we have accumulated over thousands of years. Right here in New Brunswick we’re developing predictive models that will help farmers know when and where to plant their crops, how long to store them, and even how to selectively breed for better produce. Our fish farmers rely on advanced data analytics tools to keep their fish healthy for generations and are partnering with researchers to develop feed and treatments to prevent disease. LuminUltra Technologies, as always, will be bringing a big crowd to Innovation at the Station. Last year they won the NB Bioscience Achievement Award for their significant growth and contribution to the community. They export their clean water solutions to over 75 countries and have been a big supporter of the bioscience community for years. BioNB is excited about this year’s partnership with NBIF as we are taking this opportunity to showcase the New Brunswick Innovation Research Chairs in bioscience-based fields. These five individuals are looking to use their expertise to engage with industry, whether that’s to support entrepreneurs or create brand-new technologies. At Innovation at the Station we will be celebrating the successes that tell the story of New Brunswick’s future. The sold-out event is a telling illustration of the connectivity and passion of the community… or maybe we just like good food? Innovation at the Station 2015 is taking place October 2nd at the York Street Train Station in Fredericton. Contact Jenny for media and sponsoring inquiries.